The funeral for George H.W. Bush took place yesterday in a city filled with monuments. I could step outside of my Capitol Hill office and, within less than a second, find myself in view of impressive monuments and memorials to American presidents and politicians. Some of them are immediately impressive—the Washington Monument towering in the sky or the Lincoln Memorial with its almost temple-like feel. Others are less so—the Hubert Humphrey name on the Department of Health and Human Services, but, even those a reminder of the legacy of important figures in our country’s story. 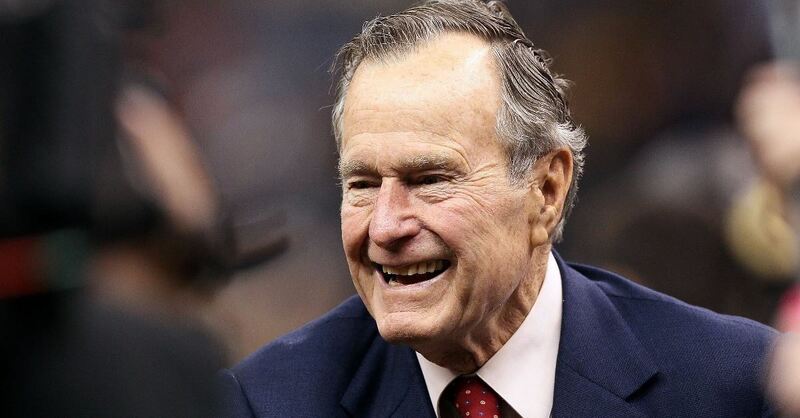 My favorite of all of these monuments, as important as they are, is the George Herbert Walker Bush Memorial, because it changed the course of my entire life. I am not referring to the late President Bush’s vice-presidential bust in the senate chambers, nor to his (very impressive) presidential library on the campus of Texas A&M University. No, I am referring to a monument of flesh and blood, seated at my breakfast table this morning. My sons, Benjamin and Timothy. They are, for me, the best memorial to the life and work of President Bush that I will ever see. My oldest sons were born sick and without family in the former Soviet Union, both with significant health concerns, one severely premature in his birth. They spent their first year in a Russian orphanage in the Rostov region of the Russian Federation. We adopted them and, as soon as we touched down on American soil in New York City, they were American citizens. More importantly, they were our family. They had a mother and a father, and a church, and a community, and a future.